Persons with acne or blemish prone skin need to take good acne skin care to control the problem of acne. A daily skin care routine can help to remove excess oil from the skin, keep the pores open, and expedite the healing of acne breakouts. Everyday care does not consume much time, and just a few simple steps can maintain the skin constantly fresh and clean. Facial skin should be cleaned twice a day with a mild cleanser. Harsh substances such as a washcloth or scrubbing pad should be avoided. Cleanser can be applied gently with clean and washed finger tips. Apart from the face, the cleanser must be applied on the jaw line, neck and on both sides of the ears. A dermatologist may recommend a gentle foaming cleanser for effective results. A cleanser with benzoyl peroxide may be advised in case of inflamed acne breakouts. Each cleansing should include a double-wash for best results. A good astringent is an important part of daily care for acne prone skin. Apply the astringent or toner to a soft pad or ball of cotton and smooth it gently over the face and neck. This will help to remove any traces of makeup or cleanser residue, as well as clean out any excess oil. If the facial skin tends to be dry, a dermatologist may recommend an alcohol-free toner. Alcohol may cause irritation and excessive dryness to skin that is already irritated due to acne breakout activity. Therefore, a mild and alcohol-free toner may be better in such cases. It is always better to seek a dermatologist’s advice before using any topical medications or creams to treat acne. The dermatologist will evaluate the nature of the problem and prescribe the most appropriate topical medication. Such treatment cream or gel should be applied only after the toner has dried completely. Cleansing, toner application and medication should be followed in sequence. The medication should be allowed to get absorbed thoroughly before proceeding to the next and final step. After the medication has dried completely, it is important to apply a moisturizer or gel. Care must be taken to choose an oil-free moisturizer only. It may appear counterintuitive to moisturize skin that is already oily and suffering from acne. However, the fact is that most acne medications tend to make the skin excessively dry, leaving it thirsty for moisture. 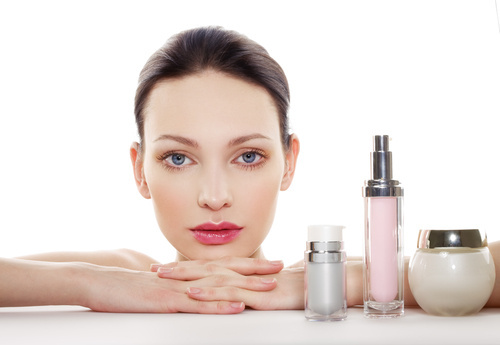 Therefore, an oil-free moisturizer will help to prevent the skin from peeling and cracking.